The Picture House Cinema LTD at The Picture House01535602561work CinemaThe Picture House, situated in North Street, Keighley, is a purpose built cinema which first opened in 1913. The Picture House cinema has two screens with Pullman seats and Dolby Stereo sound. Showing the latest releases together with films of a more specialised appeal. We show family matinees on Saturday and Sundays. We have disabled facilities and access to screen one. 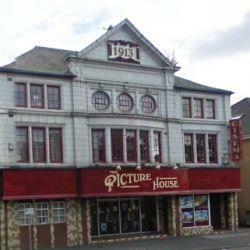 The Picture House, situated in North Street, Keighley, is a purpose built cinema which first opened in 1913. *Children must be 14 and under.